Lilly Singh made it her mission to meet BTS at the AMAs and we’re totally living for that moment! In case you didn’t know, Lilly Singh aka the magical unicorn we know as Superwoman is a solid BTS fan. It all started in 2015, when The Fine Bros had a ‘YouTubers react to K-pop’ segment – they showed Lilly BTS’ ‘Dope’ and from then on, our girl was hooked. In the two years since, Lilly found plenty of ways to express her love for BTS; sliding BTS’ songs into her videos (Re: ‘When You Don’t Know The Name Of A Song’) and straight up reacting to them over and over again (Re: ‘The Time I React To K-pop’ Day 933, BTS – Blood Sweat and Tears | My Parents React (Ep. 21), The Time My Parents Fell In Love With K Pop (Day 674)). When BTS finally took the stage for their historical debut as the first-ever Korean boy band to perform at the AMAs, Lilly had all the feels. But while she had watched BTS perform live, Lilly had yet to fulfil her mission. So she hung around like any good fan girl would even though her feet were “broken” by the gorgeous magenta heels she had on, and her hard work paid off! Even if it were only for a fleeting moment, even if she wasn’t able to v-log much or get a proper photo w the boys, Lilly managed to shake hands with all of them. And she’ll always have the footage of her shaking Jungkook’s hand. ARMY and Team Super were all here for the interaction, congratulating Lilly on her success. The only question we have? Which member did you think was “fine” Lilly? Which BTS member do you think is Lilly’s bias? Share your thoughts in the comment section! Here Are All The Celebrities Who Have Joined BTS' ARMY! In case you haven’t heard, BTS (aka the hottest K-pop group of the moment) performed at the American Music Awards 2017, and drove everyone absolutely crazy! Here’s a list of celebrities who have officially became ARMYs. Giving the world a much needed reminder of how K-pop is awesome, BTS stormed the stage with an epic performance of their hit ‘DNA’, which left many celebrities gasping for more. Not only did they gain famous stans with their Love Yourself: Her hit, the seven-member group also made history as being the first-ever Korean boy band to perform at the AMAs. This truly is a proud moment for the BTS ARMY! Listen to ARMYs totally turn up the AMAs as if it were BTS’ solo concert! Bonus: Watch BTS perform an impromptu cover of Camila Cabello’s Havana and show off their red carpet dance moves! Are you in BTS’ ARMY? Share your love in the comment section! More related stories: 6 BTS Moments Every ARMY Wants To See On The Ellen Show, BTS’ Love Yourself: Her Might Just Be Their Best Album Yet, The Rumoured BTS And The Chainsmokers Collab Is Totally Happening! Before their rise to fame and fortune, many celebs came from humble beginnings and had to hustle like every one of us non-famous folks. From working in retail to scoring a job in F&B to being a dog walker, these stars prove that hard work is essential at every stage of your life. Living up to her badass Badgal Riri reputation, the singer-songwriter-actress-mogul (you get our drift) was an army cadet in a sub-military program who had fellow Barbadian singer Shontelle as a drill sergeant. They did push-ups, wore combat boots, fatigues and crawled through mud together. Prior to becoming the… Legend he is in the music industry, the ‘All of Me’ crooner worked as a consultant doing client management with Boston Consulting Group. According to ex-colleagues, John Stephen (as he was known back then) was “lovely and brilliant and built excel spreadsheets like there was no tomorrow”. You know who to hit up the next time you’re stuck in an Excel pinch! Perhaps Beyoncé’s secret to her perfect mane came from working at her mum, Tina Knowles’ hair salon to earn pocket money. If Queen Bey can earn her keep sweeping up customers’ hair, then know that there’s no job too little! You may already know this one if you’ve heard his hit ‘Spaceship’ where he sang “Let’s go back, back to the Gap/Look at my check, wasn’t no scratch”, but Kanye did indeed work part-time at the Gap (ironically) and was responsible for their customer service. While his stint there didn’t end very well, Ye cites the chain retailer for inspiring his passion for style – which ultimately led to the craze-inducing YEEZY brand. Harry Styles is raking in the dough now, but once upon a time, he was actually making it. Before his One Direction days, the Brit heartthrob spent his spare time working at a bakery in Cheshire. His job scope included serving customers in the shop and loads of cleaning; scrubbing the floor, tray washing, counter cleaning and mopping the floors. And according to glowing reviews from his former employer, Harry was very hardworking and didn’t complain about his work, and that he was the “most polite staff they ever had”. Stomping down the runway might be her main gig now, but Kendall Jenner’s first-ever job involved strutting down the streets – as a dog walker. She revealed this little known fact to Vogue’s 73 Questions video awhile back. It’s common for stars to have waitressing gigs on their resumes, but we’re sure none of them took to it like Lady Gaga did. “I was really good at it,” the star revealed, “I always got big tips.” And even though she wasn’t performing onstage just yet, Mother Monster found a way to perform – for her customers that is. “I always wore heels to work!” she shared in an interview, “I told everybody stories, and for customers on dates, I kept it romantic. It’s kind of like performing.” Other ex-waitresses include: Lana Del Rey, Elizabeth Banks and Naya Rivera. Fresh off his decision to drop out of UCLA back in the ’90s, James Franco was a struggling actor trying to realise his dreams – in the meantime, he sought a job at McDonald’s. Although it lasted only three months, the actor shared, “”All I know is that when I needed McDonald’s, McDonald’s was there for me. When no one else was.” He also revealed that he would take the opportunity to hone his craft, practicing fake accents, “Brooklynese, Italian, British, Irish, Russian, Southern” while he worked at the drive-thru. Another McDonald’s alum? Rachel McAdams. Growing up, Jennifer Lawrence worked as an assistant nurse at a summer camp her mother managed, and had performances in local theatre on the side. And before she became the Hollywood A-lister we know and love, Jennifer had an actual five-year plan where she’d give up acting and head to nursing school if it didn’t work out. Do you share any of the same jobs on your resume? Tell us in the comment section! PSA: Fifth Harmony Is Returning To Singapore In 2018! 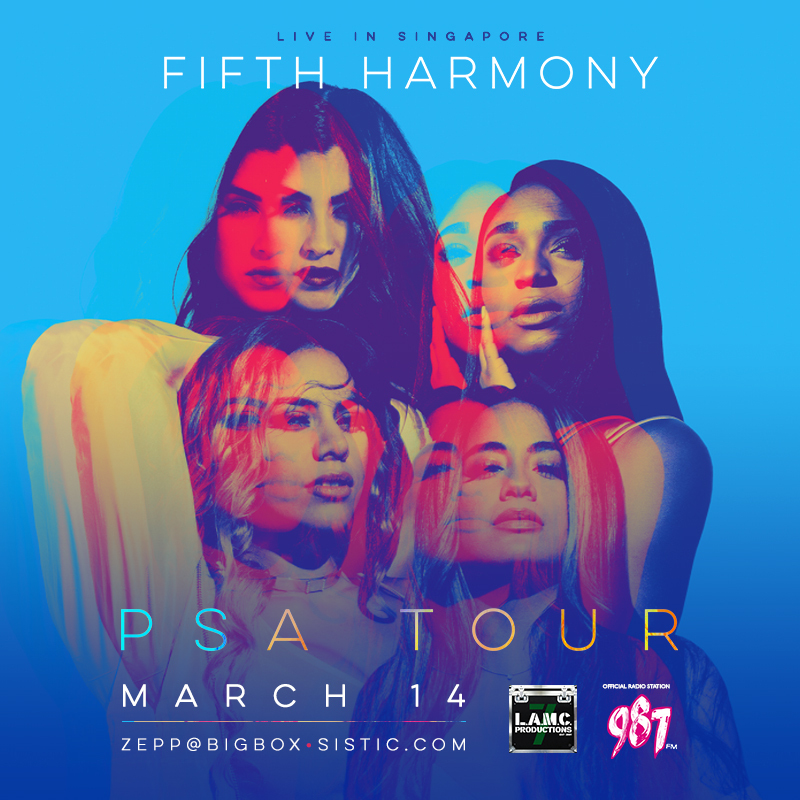 Harmonizers, get ready to scream because Fifth Harmony is coming back to Singapore on 14 March next year! Returning to our sunny shores as part of Fifth Harmony’s latest PSA Tour, fans can expect to hear songs from the foursome’s upcoming eponymous album as well as hits from sophomore album 7/27, such as ‘Work From Home’, ‘All In My Head’ and ‘That’s My Girl’. Are you ready to get ‘Down’ with Ally, Normani, Dinah and Lauren? Share your love in the comment section! Hallyu heavyweights Lee Minho and Bae Suzy have officially called it quits on their three-year relationship, and their fans have plenty to say. Shocking the world with the news of their relationship back in March 2015 after they were spotted together in London, these K-drama lovebirds definitely ranked as one of the top celebrity couples. And they’ve spoken openly (and extremely sweetly) about each other many times in past interviews, leading us to believe that their relationship was solid despite several breakup rumours prior to this. But with both Suzy and Minho’s agencies confirming the news shortly after, the world has no choice but to accept that #Hozy as we know it is over. Their fans basically had three main reactions: Happy (because Lee Minho is single again! ), Sad (because romance is over) and Suspicious (because Suzy MUST be dating Lee Jong Suk). Take a look for yourselves! lee min ho and suzy bae broke up, my day is ruined. “Romance is dead” Lul we’re ded too. Am I the only one who thinks that Suzy and Lee Min Ho actually broke up a long time ago but it is only now that they are admitting it for #WYWS publicity? It was actually good that they pulled this card out before the last episode and not in the middle of the drama. Lee Jong Suk is mentioned many many times. This eerie prediction. Anyway, Minho and Suzy broke up over a month early – keep on guessing! How did you react to the news? Share your thoughts with us in the comment section!